In Ethiopia, women are a marginalised and vulnerable group. A key reason is that women have not traditionally been part of the country’s paid workforce, preventing them from achieving social and financial independence. PfC’s projects are designed to boost opportunities for women and youth. In cooperation with our partners we give women access to suitable vocational training, we promote job creation by investing in businesses and have specially designed programmes for women entrepreneurs and young girls. 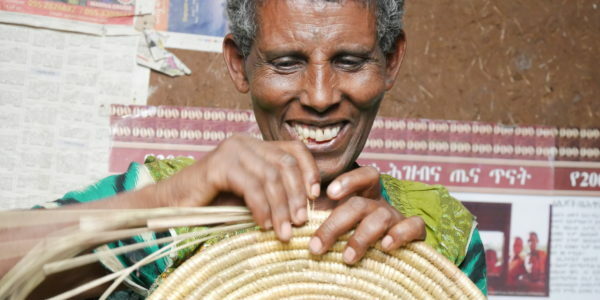 Together with the Norwegian Company Mester Grønn AS and our Ethiopian partner WHAE, PfC has established a basket project for 300 women in Bahir Dar, Ethiopia. The beautiful handmade baskets produced by grassroot women in this area will be available for sale in Norway from 2019 at Mester Grønn, and the income will go directly to the women making them. 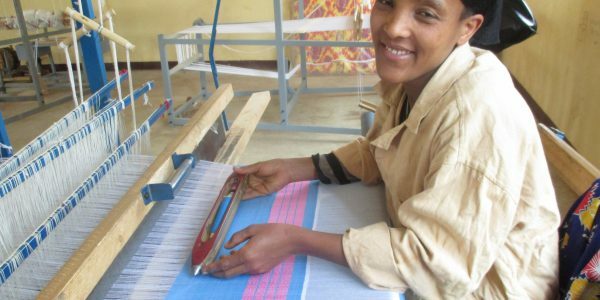 PfC, together with the well-renowned Ethiopian NGO WISE, runs a project to provide poor and marginalised women with relevant skills to become competitive in the local labour market. The focus is to run a project to contribute building young women’s capacity and skills on job readiness program. 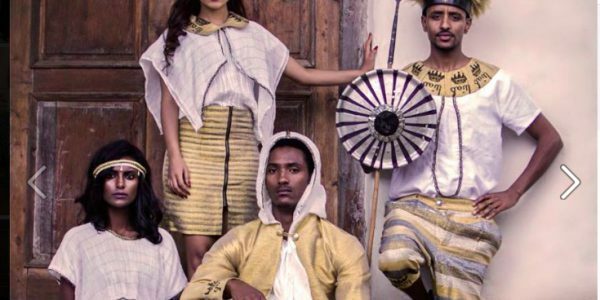 PfC, in partnership with the fashion design and clothing producer African Mosaique, runs a twelve-month programme for 10 young, up-and-coming Ethiopian designers. The objective is to increase their opportunity to succeed in the fashion industry. The designers works with fashion experts, and have good access to production environments, raw materials, and industrial know-how. Sports tourism is a growing sector in Ethiopia. Together with our partner Run Africa, we have an exciting project that enabling promising elite runners to combine a professional sports career with a job in sports tourism. This project is designed to develop the sports club to become a platform for positive social development and competence building for Run Africa’s elite runners. 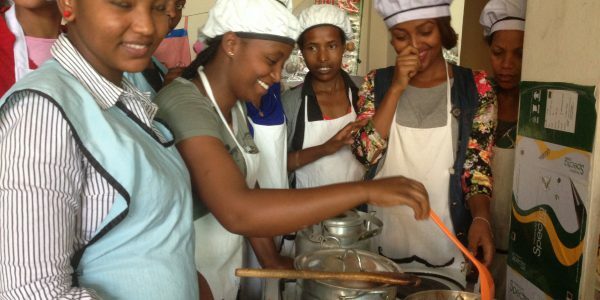 The Good Samaritan Training Center (GSTC) in Addis Ababa provides vocational training to poor and marginalised women. The goal is to empower young women to create a better life for themselves and their children. A key to this is to give them training that provides them with relevant skills that match the needs of the local labour market. 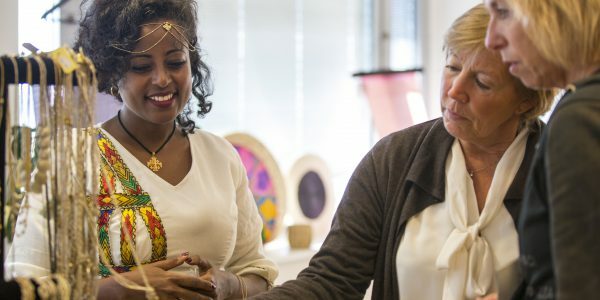 In cooperation with Siiqqee Women’s Development Association, PfC promotes economic independence through education and entrepreneurship among girls at selected schools in the Oromia region. The goal is to keep girls in school and motivate them to seek further schooling and a university education. Gulele is known for traditional, hand-woven textiles. Historically it is the men who work as weavers, while the women are relegated to heavy, manual labour. A PfC-supported project has enabled women in the area to start up their own weaving business and become financially independent. 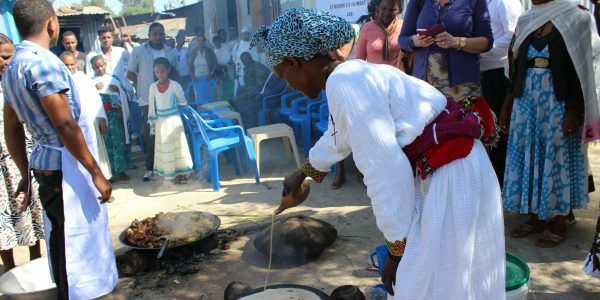 With local women as entrepreneurs, owners and operators, a restaurant serving traditional Ethiopian food has become a major success in Bahir dar – one of Ethiopia’s main tourist destinations. 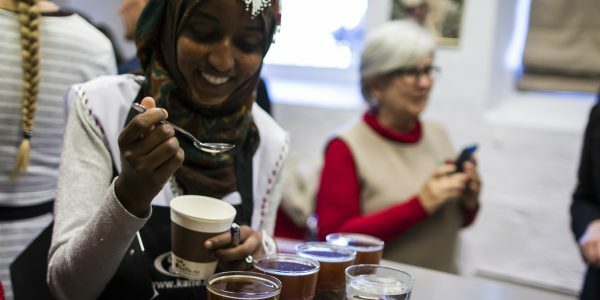 The restaurant now employs 75 women. PfC has provided financial support to establish the business. Through arranging Women’s Entrepreneurship Day since 2014, PfC has developed a contact network of women entrepreneurs in Ethiopia. This was strengthened when PfC was responsible for arranging a women’s trade delegation from Ethiopia to Norway in 2015. PfC has continued its cooperation with various groups of women entrepreneurs. Several women coffee farmers participated in the women’s trade delegation from Ethiopia to Norway in 2015. During the visit, a need for skills development in this group was identified, and PfC now has its own skills development programme for women in the coffee industry.